Image 3222694: Beautiful young woman with pullover and cap looks serious. 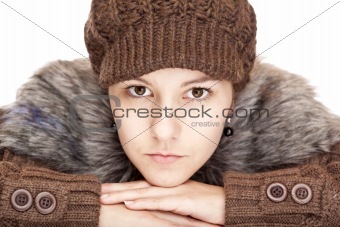 Image Description: Beautiful young woman with pullover and cap looks serious. Isolated on white background.